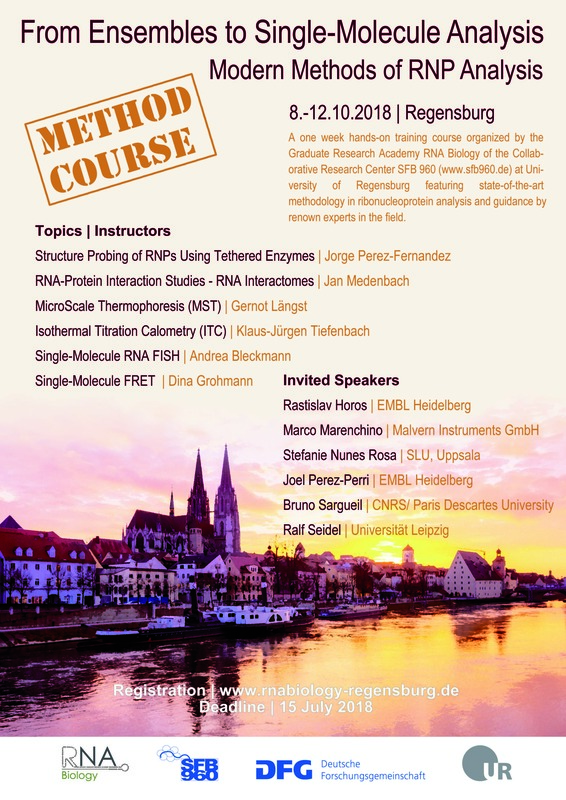 The practical course “From Ensembles to Single-Molecule Analysis - Modern Methods of RNP Analysis” will take place from 8 to 12 October 2018 in Regensburg. Course attendance is free. Registration deadline is 15 July 2018.